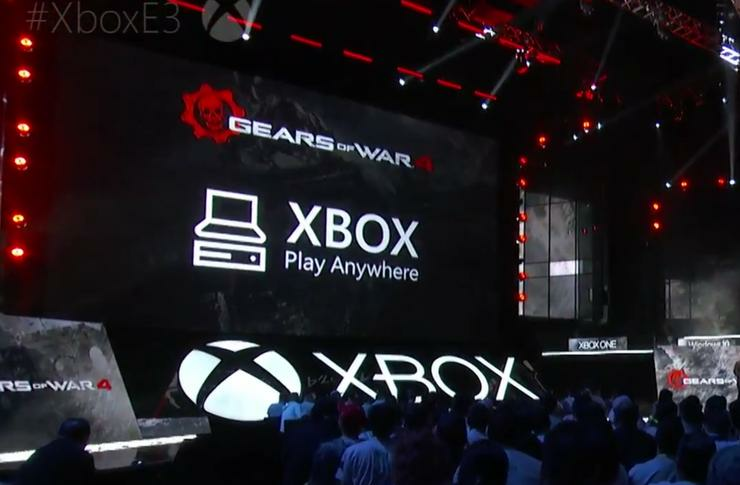 Last month, Microsoft representatives took the stage at E3 and announced Xbox Play Anywhere: Finally, you’d be able to play certain Xbox One games on your PC. And thanks to a new report from Polygon, we now know when we can expect this new era of cross-platform gaming to arrive. On Friday, Microsoft told Polygon that Xbox Play Anywhere would arrive on September 13, a little over two months from now. According to the report, Xbox Play Anywhere will require the upcoming Windows 10 Anniversary Update (previously known by its codename, Redstone), as well as a future Xbox One software update that’s due something this summer. For now, the list of supported games isn’t that extensive, but it includes popular titles such as Gears of War 4, ReCore, Forza Horizon 3, and We Happy Few, among others. The story behind the story: Microsoft has already taken significant steps to unify gaming across its platforms—the Xbox app for Windows 10 is a good example of just that. And since then, it’s worked to bring the two even closer together. For instance, the version of the Xbox One Experience released last November featured some interface similarities with the Xbox app for Windows. Xbox Play Anywhere represents the biggest step forward in this regard, and hopefully, it isn’t the last.